To submit potential news stories and photos click Here. Susan Gonzales is working every single day to change the world for American veterans. Susan is the founder of SilentProfessionals.org, a career services platform focused on U.S. military combat veterans seeking job placement and career growth in the private security sector. The website is innovating how veterans are employed and how their military skills translate to society. In just one year, silentprofessionals.org placed over 2,000 combat veterans in jobs all around the world, including corporate security and executive protection roles. One thing most people don't know about Johnson & Johnson is that its CEO is a military veteran. Alex Gorsky is a graduate of the West Point military academy. He went on to serve in the army for six years rising to the rank of captain. Gorsky, who began his career in sales at the health products giant, rose up the ranks of J&J to become CEO in 2012. He credits his business success to those years of military training, adding that it had a "profound effect" on the way he leads. "In the military you're frequently given really challenging missions. And I think what's really important is to look at things realistically," Gorsky says. "You access them, but then frankly, it's up to you to motivate the team, to figure out a solution, to keep going ahead." Gorsky adds that he developed a "huge appreciation for diversity" while serving in the army and years later it would have an impact on his business leadership style. "When I entered the Academy, so many of the soldiers that I worked with didn't look like me. They came from very different backgrounds," he explains. "When you're making a decision, when you're bringing people together, having different points of view, having different perspectives, is very very important." Read more. If you love golf, you won’t want to miss this event. Reconnect with alumni, former classmates, and your alma mater at the 2019 Alumni Golf Outing. The event will be held at West Point from June 6-8 and the schedule includes two rounds of golf, all meals, a boat cruise, and some great prizes! All graduates and guests are invited. Register now! Ray Palumbo is a respected national security leader, team-builder and problem solver who has dedicated his public life to improving the safety and security of the United States and our allies. 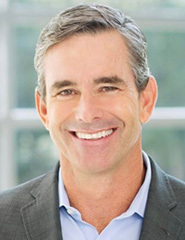 Today he supports a broad range of public, private and philanthropic organizations as the co-founder and senior partner of Venturi Solutions LLC, a consultancy that delivers winning solutions in the aerospace, defense and intelligence industries. A master aviator and parachutist, Ray led conventional and special operations forces during peacetime and in combat. 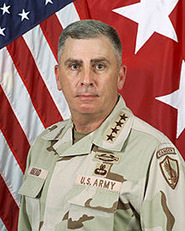 He completed his 34-year military career as the Director for Defense for Intelligence where he simultaneously led the Pentagon's Intelligence, Surveillance, and Reconnaissance Task Force, two central Defense Department positions that delivered policy, budgets, programs, and critical intelligence collection and analysis systems to war-fighters around the globe. He is currently a board director of CAE-Mission Solutions Inc., Systematic Inc., W.S. Darley & Co., and Actifio Federal, Inc. He also advises a range of leading defense companies whose products and services contribute to US national security and the welfare of men and women in uniform. Ray's philanthropic passion is committed to improving the well-being of our nation's military veterans, first responders, and their families. As such, he serves as director on the boards of Quality of Life-Plus and the Boulder Crest Foundation, non-profit organizations that deal with seen and unseen wounds, respectively. Read more. The idea for an Entrepreneur Summit began with Doug Doan ’79 and some other members of his class. “We saw a group of young entrepreneurs made up of service academy graduates, the quality of whom was greater than any of us, but they were not being valued by the investment community,” said Doan. “We agreed that we will exclusively invest in their young companies, but, more than money, we also agreed to mentor them, knowing that the leadership training they received at West Point and the skills they gained in the military made them better equipped and better prepared to run and grow a company than anybody else on the planet.” The idea of providing money and mentorship to young grad entrepreneurs led to the first WPAOG Entrepreneur Summit in October 2017. Read more. The U.S. Senate voted overwhelmingly to confirm General(R) John Abizaid as the U.S. ambassador to Saudi Arabia, filling a vital position vacant since President Donald Trump took office more than two years ago. The Senate voted 92 to seven for the 68-year-old retired four-star Army general, who led U.S. Central Command during the Iraq war. Trump nominated Abizaid for the position in November 2018. Read more. James Adamouski was the first West Point graduate killed in the War in Iraq in 2003. With the assistance of his West Point Class of 1995 classmates (Eric Pavlick, Paul Maggiano, Jim Kotwis, Craig Wilhelm, Chris Dodd, and Jeff Raines have been instrumental), the Loudoun County school board in Leesburg, VA voted unanimously for his name to be placed on the JROTC building at the Loudoun HS in Leesburg. This has been a one-year commitment from his classmates to achieve this on the 16th Anniversary of his passing. Dan Streetman has been appointed the new Chief Executive Officer at TIBCO Software Inc., a global leader in integration, API management, and analytics. Streetman brings extensive strategy and technology experience, having championed digital transformations and growth initiatives in several leading companies. Leading global field operations at BMC Software, Streetman positioned BMC as a leader in multi-cloud management and drove a relentless focus on customer success. He previously held senior transformative roles at leading software companies such as Salesforce, C3, Amdocs, and Siebel Systems. Streetman also served in both active and reserve military assignments as an Airborne Ranger-qualified infantry officer in the U.S. Army; he deployed as part of Operation Iraqi Freedom and earned a Bronze Star and the General Douglas MacArthur Leadership Award, among other decorations. "In this transformative time for every industry in the global economy, customers are leveraging exponentially more data to power their digital enterprise. TIBCO's cloud-native platform helps customers interconnect everything and convert that data into real-time, actionable insights," said Streetman. "I'm excited to lead this iconic and innovative company into a new phase of accelerated growth." Read more. Aside from serving as superintendent, GEN George Cullum (1833) was instrumental in the development of a system to track all grads, extremely generous to his alma mater and an important part of WPAOG history. Let us all honor Cullum’s contributions to the Academy by including him in our travels and events in 2019. A hard copy of Flat Cullum can be found on page 13 in the spring edition of the West Point magazine or download it here. 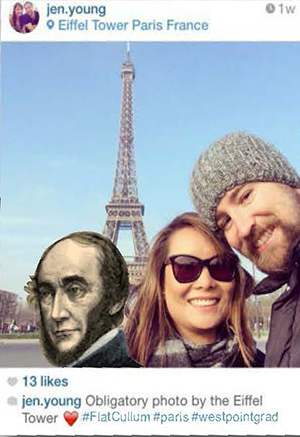 Share your stories and photos on social media using #flatcullum and #wpaog150. If social media is not your method of communication, emailing us your photo for inclusion in our online photo album. Gen Cullum began recording the biographies of every graduate in 1850. Each grad has a Cullum number and a way to reach back across the years thanks to Cullum. His legacy continues today. Read More about GEN Cullum. Tony McDonald has been named Chief Executive Officer and President of Surna Inc., a designer, engineer and manufacturer of environmental control and air sanitation systems for commercial, state- and provincial- regulated indoor cannabis cultivation facilities. Mr. McDonald was a former consultant with KPMG and has eight years' private equity and M&A experience, he most recently spent ten years building a manufacturer and marketer of innovative, energy-efficient heating, ventilation and air conditioning (HVAC) systems for commercial, government and military uses. He is the author of Cleantech Sell, a guide to new product launches in cleantech, energy efficiency, and resource efficiency. "We are equally fortunate to be able to pass the leadership baton to someone of Tony's caliber and experience. Tony, who resides in the Boulder area, has a mandate to strategically position Surna as a leading engineering and technology solutions provider in the fast-growing and rapidly evolving cannabis industry. With a solid operational foundation now in place, we will look to Tony to develop and articulate the Company's blueprint for the future," stated Timothy J. Keating, the Company’s Chairman of the Board. Actor Mark Wahlberg showed his support for Soldiers and Airmen during his visit to Army & Air Force Exchange Service headquarters in Dallas on April 3. Wahlberg met with Exchange Director/CEO Tom Shull '73, Senior Enlisted Advisor Chief Master Sgt. Luis Reyes and service members assigned to the Exchange, including Military Community Outreach Liaison COL Collin Fortier '90 (behind Wahlberg, at left), Deputy Logistics Director COL Doug Vallejo '91 (back row, fourth from right), Command Engineer COL Juan Saldivar '92 (third from right) and Environmental & Safety Division Chief MAJ Tom Piazze '01 (third from left). The Exchange and Wahlberg are partnering to improve the quality of life for Soldiers and Airmen around the world. Performance Inspired, a line of sports nutrition products founded by Wahlberg, can be found in Exchange stores and at ShopMyExchange.com. And, through an agreement with the Exchange, Wahlburgers—the fast-casual restaurant founded by executive chef Paul Wahlberg and brothers Mark and Donnie Wahlberg—is planning to open at Joint Base Lewis-McChord in the spring of 2020. Other locations for Wahlburgers are being explored. Wahlberg supported Army West Point Athletics as a guest of the Exchange during the 119th Army-Navy Game. Thanks to the technology of Grad Link, Marc Gunnels '77 had the most enjoyable "chance reunion" with his plebe/yearling Chinese Professor last month. While he was with the Supt in Indianapolis for Founders Day, he did a random search of grads living in the area looking for familiar names. After tapping 15-20 "Tarbucket" icons, he stumbled on to the name of COL(R) Joe Jaworowski ‘63. He hadn’t spoken to Joe in 44 years and often wondered what became of him. Joe was an extremely well-liked and respected officer who went out of his way to help his cadets understand the complexities of Mandarin Chinese. Marc was particularly in his debt for tutoring him during the many weeks he spent in the hospital plebe year recovering from a serious football injury. When he called Joe, he seemed thrilled to hear from a former student and suggested they meet at a local pub. They had a terrific time getting reacquainted and recalling old memories. It also gave Marc the chance to thank Joe in person for making a difference in his life. They are already planning their next get together. The Long Gray Line is definitely made stronger with Grad Link! Blain '89 Publishes "Invest in Your Life, Not Just Your Portfolio"
David Blain has published the book: In Invest in Your Life, Not Just Your Portfolio: A Guide to Achieving Financial Independence. David Blain―founder and CEO of BlueSky Wealth Advisors―shares the revolutionary approach he now employs as a fee-only fiduciary advisor―an approach he developed to combat the out-of-control fees, conflicts of interest, and generally poor advice that plagues successful individuals and families across the country. You will be able to find a financial advisor who has your best interest at heart and can help you and your family plan for a lasting and fulfilling lifestyle. If you see money as a vehicle to reach your goal (as opposed to the goal itself), aren't looking to "beat the market," and are ready to listen to a trusted professional, then this book is just for you. It's time to invest in more than just your portfolio. Available April 16, 2019 at Amazon and Barnes and Noble. Congratulations to CPT Richard Stucky '11, CPT James Whitler '11 and CPT Frederick Wolf '11 who have been named 2020 Olmsted Scholars. The Olmsted Scholar Program, named after George H. Olmsted, awards scholarships to highly qualified, active duty junior officers in the United States military to pursue language studies and overseas graduate-level education. Created in concert with the Department of Defense, the Scholar Program provides one year of foreign language training followed by two years of study at a foreign graduate school. 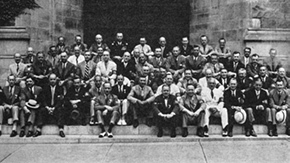 The Scholar Program was established with an initial grant from George and Carol Olmsted in 1957. In his original Statement of Donor, Olmsted noted, "Fundamental to the initial purpose of creating the scholarship program is the conviction that the greatest leaders must be educated broadly." Since its inception, the Olmsted Scholar Program has provided grants for over 600 officers, many of whom have gone on to the highest levels of leadership and responsibility in the military, government and private sector. BG(R) Petty '87 Releases "BattleDigest.com"
After 31 years in uniform, BG(R) Christopher Petty '87, recently started BattleDigest.com. By producing condensed summaries of famous battles - including lessons on strategy, tactics, and leadership - he hopes to help the Army build a new generation of historically-informed leaders. "Our young officers and NCO's aren't reading the 300- page books anymore, we have to adapt. We can't afford to lose the all-important military history perspective in our future leaders." Petty said. Through easy-to-read tri-fold brochures, and digital downloads, Chris hopes to enable young military officers and NCOs to more easily continue their professional development outside of the classroom. Chris's last job in the military was the Deputy Director of Operations (Deputy J-3) for USNORTHCOM (United States Northern Command). He and his wife are settled in Denver. Their four boys (one West Point class of 2014, and one from the USCGA Class of 2013) are all married, and they have four grandchildren. Tyson Lee, the current President and CEO of Veteran Industries, was elected as the new USA Boxing President of the Board of Directors and will begin his service immediately until December 31, 2020. "Being elected as the President of the Board of Directors for USA Boxing is one of the greatest honors I've ever received," stated Lee. "I'm excited to have the privilege to work with such a talented Board of Directors and staff in support of our mission to grow amateur boxing throughout the country, ultimately in pursuit of Olympic gold." Tyson made the Regimental All Star Boxing Team for three years here at West Point. As a captain in the Army, he also won three state amateur titles while stationed in Hawaii. His professional military background includes completing U.S. Army schools such as Airborne, Jumpmaster, and Ranger, also serving as a Company Commander in the 25th Infantry Division (Light). He now resides in Spanish Fort, Alabama. Read more. The Honorable Matthew S. Collier has pledged to donate his brain to the Concussion Legacy Foundation (CLF) as part of Project Enlist, CLF’s program to accelerate research on the effects of brain trauma in the military community. Collier is the former Senior Advisor to the Secretary at the US Department of Veterans Affairs and served six years as a US Army Airborne Ranger Infantry Officer. Collier was elected in 1987 as the youngest big city "strong" mayor in the United States (Flint, MI). Following his time as mayor, he spent more than 20 years in the private sector. He currently serves on the CLF Board of Directors. Read his full bio. "It is critically important that we learn what is unique about the brain trauma that many Veterans are exposed to during military service," said Collier. "Through Project Enlist, we will mobilize the military community to support this research, and I hope it accelerates efforts to improve the long-term health and well-being of not only our Veterans, but of Americans in general. I hope every Veteran considers taking the pledge." CLF is the outreach and recruiting collaborator of the U.S. Department of Veterans Affairs-Boston University-Concussion Legacy Foundation (VA-BU-CLF) Brain Bank. Led by Dr. Ann McKee, brain bank researchers are making breakthroughs in our understanding of the long-term effects of brain trauma and brain injury, including TBI, CTE, amyotrophic lateral sclerosis (ALS), Parkinson’s disease, and Alzheimer’s disease and how they relate to PTSD. Stony Lonesome Group (SLG), founded by Sean Drake '90 in 2011, a boutique venture capital firm and early pioneer in the Military Veteran entrepreneurship space, announced the addition of the Honorable Patrick J Murphy as a General Partner of Stony Lonesome Capital II and Stony Lonesome Capital III venture capital funds. SLG team members from the long gray line to include MG (R) Spider Marks '75 as an Advisor and COL (R) Joseph Schafer, PhD '86 as Director of Research. SLG has invested in over 12 startups that include USMA graduates as Founders or key members of the Management Team. Mr. Murphy is an Army Veteran, serving with distinction as a paratrooper in Iraq as a member of the 82nd Airborne Division. Captain Murphy was also a professor of Constitutional Law at the U.S. Military Academy at West Point. 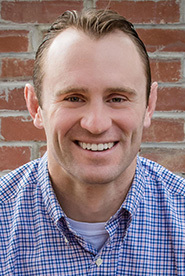 Following his time in service, Patrick was the first Iraq War Veteran elected to Congress representing the 1st district of Pennsylvania for four years. In 2016, the Honorable Mr. Murphy became Undersecretary of the Army and later the Acting Secretary of the Army. In addition to his service to our country, Patrick is an experienced tech and media entrepreneur. 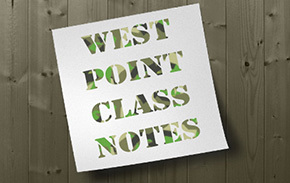 Mr. Murphy is currently serving as the Distinguished Chair of Innovation at West Point. Donald W. Washington was appointed by President Donald Trump and confirmed by the United States Senate as the Director of the United States Marshals Service, the country's oldest federal law enforcement agency. Mr. Washington was sworn in on Friday, March 29, in Shreveport, Louisiana at the federal courthouse with Judge Carl Stewart administering the oath and Judge Maury Hicks presiding. "Don has been an exceptional asset to our firm and we are proud of him for being selected for this important role to lead the U.S. Marshals," said Bill Hines, Managing Partner of the firm. "He will be missed by his colleagues at Jones Walker." 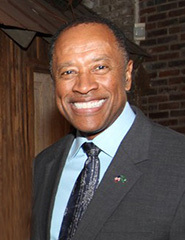 Mr. Washington was employed by Conoco, Inc. and held engineering, business, and law positions, including serving as chief counsel for the company's Gulf of Mexico Division. In 2018, he was appointed Temporary Marshal for the City of Lafayette during the absence of the current elected Marshal. Like other Jones Walker attorneys, he has been a strong supporter of his community and state by serving on various boards and commissions, currently including the Public Affairs Research Council of Louisiana, Community Foundation of Acadiana, University of Louisiana-Lafayette Foundation, Pines to the Gulf Girl Scout Council, and Home Bank. Read more. 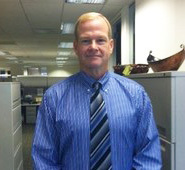 Joseph Goetz has joined Dewberry as a Senior Project Manager in disaster recovery at their Fairfax, Virginia. Goetz brings more than 35 years of experience managing disaster assistance and emergency response projects, as well as directing a broad range of critical infrastructure projects totaling more than $1 billion. Goetz also has extensive experience leading large programs and multiple task order contracts with a focus on temporary housing, disaster recovery, and individual assistance. Prior to joining the firm, Goetz worked in numerous roles with the U.S. Army Corps of Engineers. "I'm looking forward to using my project management experience and leadership ability to serve our clients with responsive, effective engineering services that exceed expectations," said Goetz. Joshua Halu '09 is currently hiking the entirety of the Appalachian Trail from Georgia to Maine. He started on March 8th, in dedication of the 3 year anniversary of his best friend and classmate, Taylor Force's (USMA '09), death in a terrorist attack in Israel. He is hiking the 2200 miles in his honor. You can see more about Josh and his hike at www.movewithapurposelife.com. Mr. Alfred Grein, was sworn-in as the Executive Director for Research & Technology Integration at the Senior Executive Service (SES). 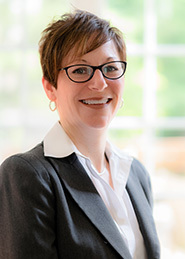 Grein was previously an Associate Director and Deputy Executive Director at the U.S. Army Combat Capabilities Development Command (CCDC) Ground Vehicle Systems Center (GVSC). Grein, accompanied by his closest family and friends and attended by hundreds of colleagues in the Army civilian service, was presented with the SES office symbols and oath by Maj. Gen. Cedric Wins, Commanding General, CCDC. The U.S. Government Senior Executive Service, established in 1978, includes men and women charged with the management of major government programs and initiatives. Members of the SES provide important continuity throughout the government and represent a key link between the Nation's elected and appointed leaders and the federal civilian service workforce. 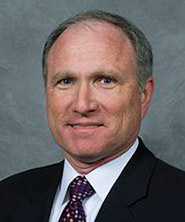 His duties as the Executive Director for Research & Technology Integration include oversight of the Army's most forward-leading ground vehicle programs, including autonomous and semi-autonomous driving technologies, power and mobility capability development, the breakthrough innovations in protecting the Army's ground vehicles, and upgraded electrification of these vehicles. Read more. Ryan Mergen has been named Principal at Father Vincent Capodanno High, to begin this coming summer. Mergen is a former Green Beret and current active duty officer stationed at Fort Bragg. The board conducted a nationwide search and Erwin said they received applications from about a dozen strong candidates, several with military connections. Capodanno High was founded by Army veteran Mike Erwin and is taking the long-range view of expansion. "We're not just interested in graduating kids who are smart," Erwin said. "We want kids who are growing intellectually, but also in that service, character and leadership mindset. We think that's so important that we have to measure it." Mergen describes his own path to success as "the story of other people helping me, people who didn't have to, but helped me nonetheless to unlock my own potential." "I don't think that soldiers have a monopoly on service and sacrifice, but if you spend time with them and don't understand what service and sacrifice are, especially during a deployment, then I don't know if you ever will." Mergen credits the soldiers in his platoon for saving his life after he took shrapnel to the stomach during his first tour of duty in Afghanistan. Read more. CPT Kasandra "Kaci" Clark was selected for the U.S. Army's new Warrior Fitness Team. The Team made quite an impression during the largest multi-sports event in the world in Columbus, Ohio. A team of six Soldiers claimed first place out of 32 teams in the CrossFit Endeavor competition. The team included: Capt. Kasandra Clark, an aviation officer; Capt. Deanna Clegg, a logistics officer; Capt. Brian Harris, an aeromedical evacuation officer; Capt. Ashley Shepherd, a military intelligence officer; 1st. Lt. Chandler Smith, an armor officer; and Spc. Jacob Pfaff, a UH-60 Blackhawk helicopter repairer. While the Warrior Fitness Team was very competitive, their presence was about much more than winning trophies. Capt. Kasandra Clark is an aviation officer at the 160th Special Operations Aviation Regiment (Airborne), Fort Stewart-Hunter Army Airfield, Georgia. She is from Peachtree City, Georgia. She has been in the U.S. Army for 8 years. Clark is a CrossFit level 1 and 2 coach and specializes in USA Weightlifting, CrossFit gymnastics and is also a Master Fitness Trainer. Clark performed many moves at The 2019 Arnold Affiliate Gathering, CrossFit Endeavor. Clark and the team had 20 minutes to establish an Olympic Total. Each athlete had three attempts on each lift. Here she setting up to complete a round of clean and jerks. The Army is modernizing its recruiting efforts and seeking new ways to reach individuals who meet the qualifications necessary to serve. 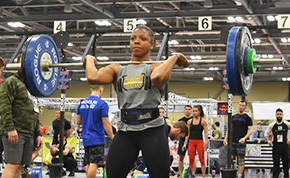 The Army already invests in the physical fitness of Soldiers, so it is using its elite athletes to connect with individuals in the fitness community and educate them about the opportunities and benefits of service in the Army. Read more. Lieutenant General (Retired) Stephen Lanza, former Army I Corps Commander, has been appointed Senior Vice President, Defense at Sarcos Robotics a global leader in the production of robots that augment humans to enhance productivity and safety, including full-body, powered exoskeletons for industrial and military applications. 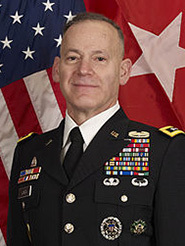 Lt. Gen. Lanza, who also serves on Sarcos’ Strategic Advisory Board, previously held numerous senior command assignments, including I Corps commanding general and commander of the 7 th Infantry Division at Joint Base Lewis-McChord. Lanza has received numerous awards and decorations, including the Army Distinguished Service Medal, the Defense Superior Service Medal, the Bronze Star, and the Defense Meritorious Service Medal. Lanza also served as a National Security Fellow at the Massachusetts Institute of Technology. In this newly created role, Lt. Gen. Lanza will lead Sarcos’ defense business, with a primary focus on military applications for Sarcos’ full-body, battery-powered exoskeleton, which will be commercially available next year. “I am honored to join the Sarcos executive team,” said Lanza. “I have experienced first-hand the innovative products and technologies that Sarcos has developed. They represent a meaningful opportunity to create an advantage over our near-peer competitors, and I look forward to raising awareness among the defense community that these technologies have evolved from science fiction concepts of the past to products that are deployable now.” Read more. Eric Buller '90, Tyson Lee '94 and Chris Trombetta '03 have been appointed to the USA Boxing Board of Directors. Eric Buller '90, Affiliated Member Director, currently serves as the President of the National Collegiate Boxing Association, as well as works as the Director of the Harry T. Wilks Leadership Institute at Miami University in Miami, Ohio. 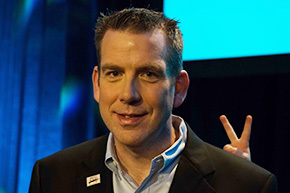 Tyson Lee '94, Independent Director, the current President and CEO of Veteran Industries. His professional military background includes completing U.S. Army schools such as Airborne, Jumpmaster, and Ranger, also serving as a Company Commander in the 25th Infantry Division (Light). Chris Trombetta '03, Independent Director, currently serves as the Senior Vice President of Strategy & Talent for Red Bull North America. Prior, Trombetta worked for Bain & Company, a leading global management consulting firm, focused on consumer products and media & entertainment clients. Read more. Rotella ’86 Honored Best-In-State Wealth Advisor by "Forbes"
Matthew Rotella CFP, a Private Wealth Advisor with Ameriprise Financial in Riverdale, NJ was named to the list of "Best-in-State Wealth Advisors" published by Forbes magazine. The list recognizes financial advisors who have demonstrated high levels of ethical standards, professionalism and success in the business. Rotella has 25 years of experience with Ameriprise Financial. The rankings are based on data provided by over 11,000 of the nation's most productive advisors Rotella was chosen based on assets under management, industry experience, regulatory and compliance record and revenue produced over a three-year period. Rotella is managing partner of Mindful Wealth Management, a private wealth advisory practice of Ameriprise Financial Services, Inc. The New York Race Track Chaplaincy will honor Debbie and Terry Finley of West Point Thoroughbreds for their continued devotion to the community of stable workers who support Thoroughbred horse racing behind the scenes when the organization hosts its annual NY Chaplaincy Brunch at the Saratoga National Golf Club in Saratoga Springs, NY on Wednesday, August 14, 2019. The Finley's founded West Point Thoroughbreds in 1991 and have built the company from an operation with one claiming horse into one of the largest Thoroughbred horse racing partnership companies in the world. Terry serves on the boards of the New York Thoroughbred Horsemen's Association, the Catholic Leadership Institute, Thoroughbred Charities of America, the PenFed Foundation, and the Johnny Mac Soldiers Fund (which provides scholarships to children of our nation's fallen military members). Read more. The U.S. Representative for New York's 18th congressional district Sean Patrick Maloney recently gave a speech about West Point and the 150th anniversary of the West Point Association of Graduates. Introduction by U.S. Representative John Shimkus ‘80. Click here to watch the full video. Join the West Point Marathon Team Race Against Navy! Sunday March 24, 2019 at 1pm. This race is dedicated to those members of the Long Gray Line whom have gone to war and made the ultimate sacrifice. Each mile marker will memorialize different fallen comrades from all of our nation's wars as a tribute. We honor them as individuals as we test ourselves on this challenging, beautiful course. We celebrate their memory as we build camaraderie and thru friendly competition. Chip Timing, Race Shirt, Finisher's Medal, Post Race Snacks, Prizes! The Board of Trustees of the Financial Accounting Foundation (FAF) today announced the reappointment of Brian W, Caputo to a second term on the Governmental Accounting Standards Board (GASB). 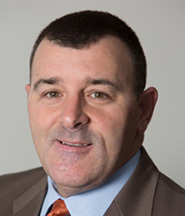 Mr. Caputo, who began serving as a member of the GASB on July 1, 2015, is the interim president of the College of DuPage in Glen Ellyn, Illinois. The GASB is the independent, private-sector organization that sets accounting and financial reporting standards for state and local governments in the United States. The FAF is the independent, private-sector organization responsible for the oversight of the GASB and its sister standard setter, the Financial Accounting Standards Board (FASB). Mr. Caputo's second and final term on the Board begins July 1, 2019, and will extend through June 30, 2025. "The Board of Trustees is pleased Brian will serve another term on the GASB," said FAF Chairman Charles H. Noski. "His broad experience and perspective as a long-time preparer of public sector financial statements are valuable resources to the GASB." Previously, Mr. Caputo served as chief financial officer/treasurer for the city of Aurora from 1998 to 2017, where he was responsible for developing and overseeing the execution of the city's $400 million annual budget, preparing the comprehensive annual financial report, and managing an annual investment of public funds averaging $500 million. Prior to that, as director of finance and treasurer of the village of Mount Prospect, Illinois, he was responsible for all aspects of the village's financial management. Earlier in his career, Mr. Caputo served in government finance positions with the villages of Hoffman Estates and LaGrange, Illinois. He also worked as an auditor with Price Waterhouse in Chicago. Read more. The ARAC is going present the inaugural Brothers Legacy Award to Coach Mike Mahan. Coach Mahan's multi-decade leadership for both men's and women's Rugby at West Point is without equal and the selection committee was unanimous in its decision that he should be the first honoree. Coach Mahan's efforts were the key to developing the winningest program in Army sports, securing the Anderson Rugby Complex project and more importantly he was instrumental in creating the culture of service, sacrifice and camaraderie among the players which has been his most enduring legacy. Ron Johnson Received the Joseph Mayo Pettit Distinguished Service Award on February 21, 2019. This is the highest honor presented by the Georgia Tech Alumni Association. 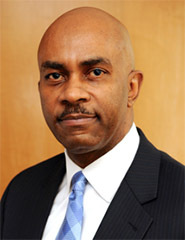 Before he joined the ISyE faculty, Johnson was the National Basketball Association's (NBA) first senior vice president for referee operations from July 2008 - July 2012. 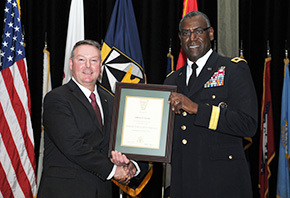 Prior to the NBA, Johnson served as the deputy commanding general and deputy chief of engineers, the second highest-ranking senior engineer staff officer for the U.S. Army Corps of Engineers. He retired as a major general in April 2008 after 32 years of military service. Johnson's awards and decorations include the Distinguished Service Medal (with two Oak Leaf Clusters), the Bronze Star, the Legion of Merit (with four Oak Leaf Clusters), and the Combat Action Badge. As well as many professional awards. Johnson is the former secretary and board member of Goodwill Industries, International. He is a National Trustee of the Boys and Girls Club of America, serves on the National Workforce Solutions Advisory Board, and is a former trustee for both the Georgia Tech Foundation and Georgia Tech Alumni Association. He has also given back in the form of two scholarships endowed in his name at Georgia Tech, and has a room named for him in Tech's Clough Undergraduate Learning Commons. Kevin Byrne was given a terrible break in life out of the blue. Kevin was diagnosed with multiple sclerosis (MS) in 1999, while serving overseas in command of a U.S. Army Air Cavalry Troop. Born and raised in New York City, he is now medically retired and lives in Portland, Oregon with his daughter, Eleanor. He now fights a heroic nationwide war against a disease inflecting himself and nearly 500,000 Americans. Every day he courageously strives to turn that bad luck around in a way that ultimately will free millions of Americans and let them declare victory over MS. Kevin wages his personal nationwide war in a thoroughly unique way—through his Never Stop… Never Quit… line of books—including the forthcoming novel Moments. Fully 100 percent of the royalties Kevin earns from his books go to assist the National MS Society. To date, Kevin has raised more than $700,000 to help free Americans from the scourges of this terrifying, debilitating disease. With MS now impacting nearly a half-million Americans and additional millions of family members—and 200 new cases diagnosed each week—Kevin's heroic nationwide war is a inspiring call to urgent action. We celebrate WPAOG’s donors who made 2018 such a resounding success! Because of you, we raised $45.8 million in cash receipts for the Academy and WPAOG. In addition, our alumni participation rate reached 35%, our highest level yet. This number is a critical indicator in determining a university’s annual national ranking and helps increase the prestige of the institution while enhancing the development of future leaders. Your gifts and participation strengthen the Academy’s Margin of Excellence programs for cadets and sustain the traditions that honor generations of West Point graduates. 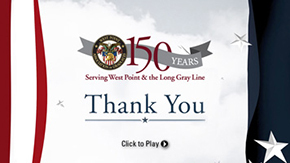 WATCH our 'Thank You' Video to see highlights from the past year at West Point. Pelosi '73 Releases "At War With Parkinson's Disease"
At the "Epilogue" is the statement, "I thought it important to describe who we are as human beings, how we evolved, what makes us so very unique and so very special among all living things on the planet. I thought it important also to understand in layman's terms what constitutes illness and disease, what is preventable and for what we may be predestined genetically. A person living with Parkinson's disease and fighting the symptoms and its debilitations needs help to manage and control the disease." Jim's work in international research institutes and his volunteer activities at VA hospitals and clinics have exposed him to a disproportionate number of combat-wounded veterans with early-onset Parkinson's disease which may be a result of traumatic brain injuries suffered in combat. All profits from the sale of this book are donated to combat-wounded veterans with Parkinson's disease. Lisa Pruett has been appointed as Chief Sales and Marketing Officer at Downlite. In this new position, Pruett will work with the Downlite leadership team to align the company's sales and marketing functions to drive business growth. The buckets of activities reporting to Pruett include sales, customer care, product management, planning & analytics and marketing. Before joining Downlite, Pruett was EVP sales at Easyway, a cut and sew, private-label manufacturer of lifestyle furnishings to well-known luxury retailers, where she directed the operations of the Customer Engagement Team consisting of 25 employees in sales, business intelligence, product design and customer service. Pruett is an active participant in the Cincinnati community volunteering with various organizations as well as an Advisory Board member for Phototype and Omega Processing Solutions. Read more. Scott Parker has joined the Employee Benefits Group of Alliant as First Vice President, Parker will design and deliver integrated employee benefits solutions engineered to reduce healthcare costs and increase organizational productivity. With more than 30 years of benefits experience, Parker has a breadth of expertise that covers strategic planning, plan design, financial management, vendor management, and long-term implementation. This includes experience working with both the public and private sectors. Prior to joining Alliant, Parker was Area Senior Vice President and Practice Leader within the Atlanta Benefits division of a global insurance brokerage firm serving a national portfolio of large-to-midsized employers. He also has a decade of experience on the carrier side of the business overseeing major and national accounts for Blue Cross Blue Shield of Georgia. Read more.